Align Home Health was recently featured on WROU’s Community Focus featuring the talented Faith Daniels. Aside from giving information about Align and how providing care to those in need helps keep our aging loved ones healthy and independent, the duo took a deep look at the impact of AlignMATCH™, a revolutionary personality matching system that pairs caregivers to people in need based on personality. “AlignMATCH™ permits a deeper level of connection between client and caregiver allowing for care to be received in a much more comfortable and accepting fashion. With AlignMATCH™, clients do not get the next available caregiver from the roster, but instead a custom matched surrogate family member,” says Align Director, Josh Ison. Align Home Health, Dayton’s leader in senior home care, provides honest, professional, and compassionate health services in the comfort of clients’ homes. We offer experts ready to listen to your needs, answer your questions and discuss your personal in-home health care options. We understand that every client has a unique set of home care requests and will always go the extra mile to ensure your wishes are fulfilled. Our mission is to help people live better lives at home. Faith Daniels is the host of Community Focus. She is a woman who has found the freedom of loving the sound of her own voice and actually has something to say! Not only is she the WROU Program Director, but she also is the afternoon drive on-air personality, and your friend from 3pm-7pm on WROU 92.1FM! WROU-FM is an Urban Adult Contemporary radio station at 92.1 FM licensed to West Carrollton, Ohio serving the Dayton area and owned and operated by Alpha Media. 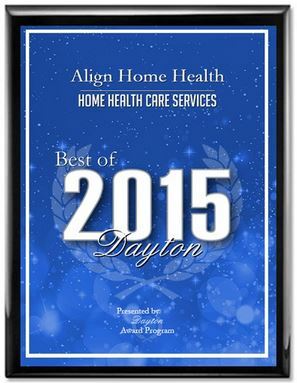 Align Home Health has been selected for the 2015 Best of Dayton Award in the Home Health Care Services category by the Dayton Award Program. The Dayton Award Program was established to recognize the best of local businesses in our community. Our organization works exclusively with local business owners, trade groups, professional associations and other business advertising and marketing groups. Our mission is to recognize the small business community’s contributions to the U.S. economy. 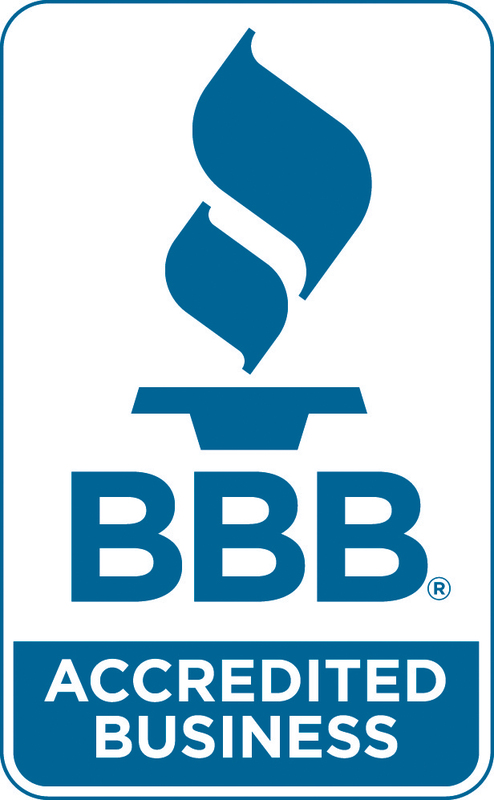 Align Home Health, which provides in-home senior care in the greater Dayton area, is proud to announce it is now BBB accredited. Align Home Health is committed to high standards in the homecare industry, and receiving the BBB accreditation proves just that. Align is protected by required liability insurance and their certified caregivers are bonded. They also perform regular drug screens and background checks on all of their employees. Align Home Health provides honest, professional, and compassionate health services in the comfort of clients’ homes, and they are always available with experts ready to listen to needs, answer questions and discuss personal in-home health care options. Every client has a unique set of homecare requests and Align’s mission is to help people live better lives at home by offering such services as personalized care, companionship, meal preparation, transportation, medication reminders, light housekeeping, laundry assistance, and pet care. In addition, Align is the only agency that offers the AlignMATCH™ System, a personality-based client/caregiver matching system, Digital Caregiver Clock-In, a 24-Hour Nurse Line, an Online Family Portal, Alternative Therapies, and Memory Retention Therapy. The Align Home Health team serves clients in the Greater Miami Valley & Dayton area. Align Home Health, Dayton’s leader in home senior care, provides honest, professional, and compassionate health services in the comfort of clients’ homes. Align offers a suite of services designed for independent people who have a desire to remain in their homes, but need some assistance in daily tasks and chores. This typically includes personalized care, companionship, meal preparation, transportation, medication reminders, home basics, light housekeeping, laundry assistance, and pet care. Client and caregiver compatibility is a high priority for Align. The company’s own alignMATCH™ system, which includes of a set of personality-based questions, matches clients and caregivers in a way to help create a more personal connection. This bond between caregiver and client promotes an environment conducive to delivering the best home health services in the industry. Align Home Health prides itself on utilizing a network of certified-only caregivers to be the face of their organization. They join the team after an extensive screening and background check process which affords Align the benefit of employing only the best. They are trained by in-house medical professionals after becoming a member of the team, before being put into service with clients, and on a reoccurring yearly calendar. Caregivers have the ability to check in and out digitally, which means their clients are only billed for actual time of service. Align caregivers are bonded, insured, and direct employees of Align Home Health; no third party contractors are used. This level of quality and expertise is reflected in the service offered to their clients.